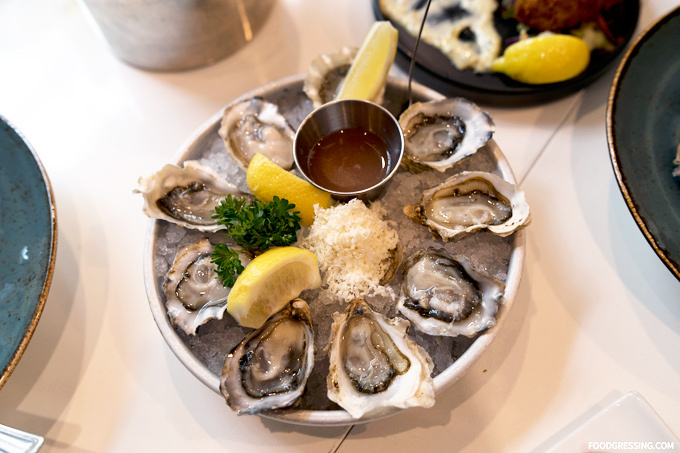 Located in the Stadium District of Vancouver, Fanny Bay Oyster Bar and Shellfish Market has been around for two years and is a 50-seat restaurant serving lunch, dinner, weekend brunch as well as a full bar and Happy Hour specials. 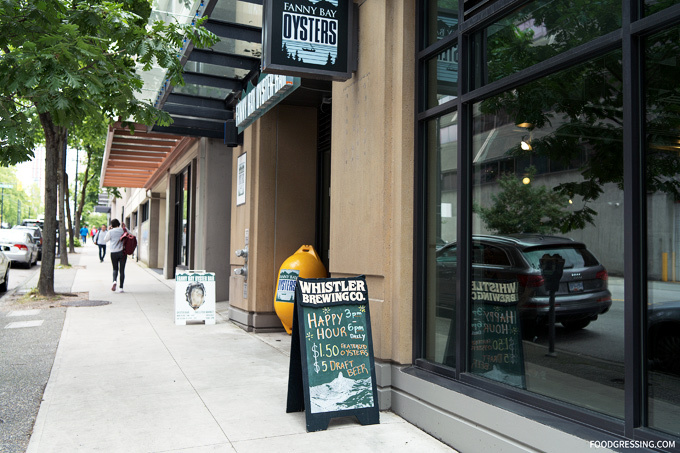 All their seafood is Oceanwise certified and their space features a shellfish market with fresh-caught live, shucked, fresh and frozen oysters, clams, mussels, scallops, shrimp and prawns. Most recently, a few friends and I visited them for Happy Hour. Note: None of the food nor drinks in this review were complimentary. This review is done anonmously. 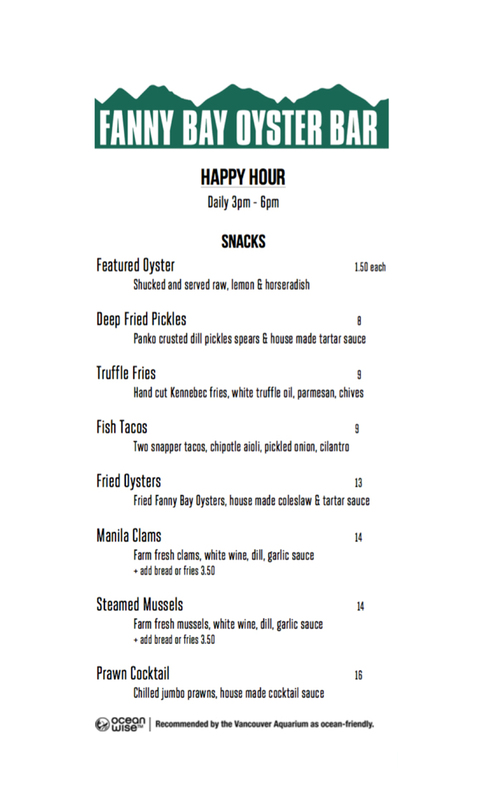 Happy Hour at Fanny Bay is daily from 3 pm – 6 pm. 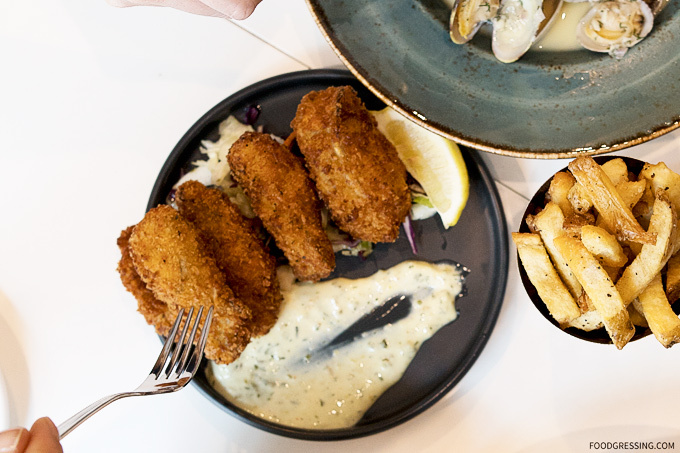 Oysters are $1.50 each while other snacks include Deep Fried Pickles, Truffle Fries, Fish Tacos, Fried Oysters, Manila Clams, Steamed Mussels and Prawn Cocktail. 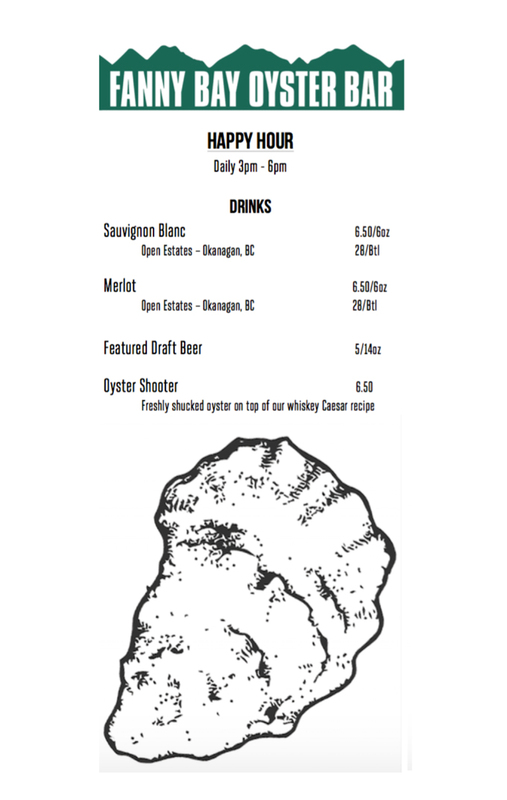 Wine by the glass is $6.50 and featured draft beer is $5. Below are images of the menu at the time of my visit. Protip: No reservations are accepted for parties less than six people for Happy Hour. Our group of 4 went in right at 3 pm and got a table right away. Fanny Bay is definitely popular for their Happy Hour and the restaurant filled up rather quickly. For drinks, we got an assortment of wine and beer. 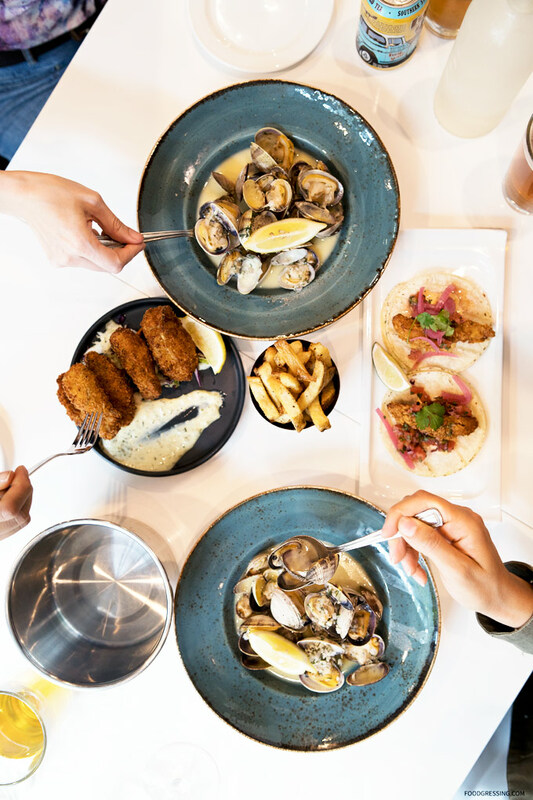 As for food, we tried most of the items on the Happy Hour menu including the Fresh Oysters, Deep Fried Oysters, Truffle Fries, Fish Tacos, Manila Clams, and Steamed Mussels. I thought that the items we tried were a mixed bag in terms of enjoyment; some were good while others were just OK. Some could be done better. I felt that the food was priced on the higher end but such simple dishes. Priced at $1.50, the oysters were shucked, served raw with lemon and horseradish. A must-try at Fanny Bay. 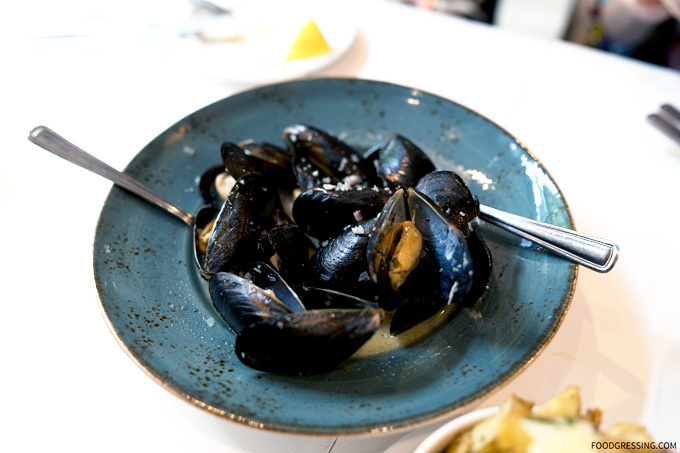 A dish I would recommend is the Steamed Mussels ($14). 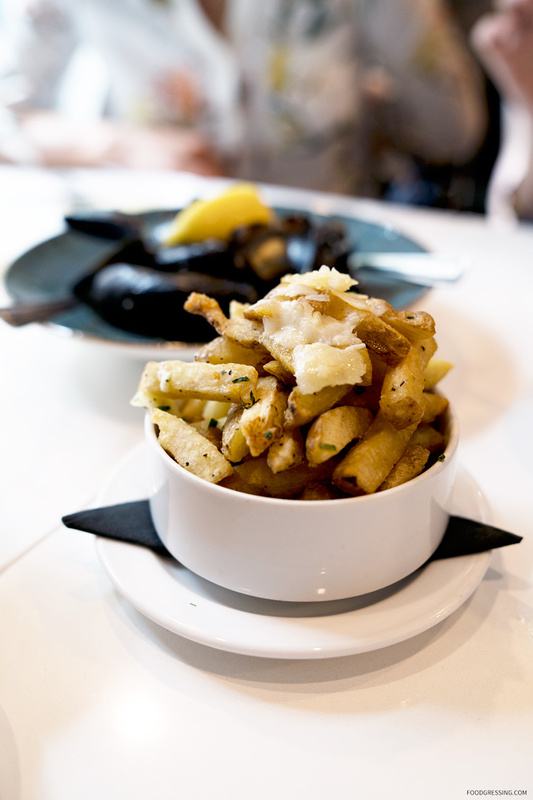 These are farmed mussels cooked with white wine, dill and garlic sauce. The mussels were reasonably sized and were plump and juicy. I did think the price was a bit on the higher side for such a simple item. 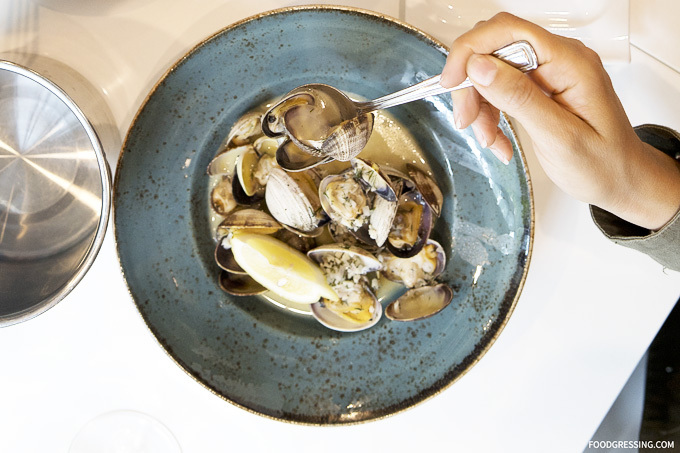 The Manila Clams ($14) are farmed and were cooked in the same type of broth as the mussels (white wine, dill, garlic sauce). Well-enjoyed and one of the better items we tried. 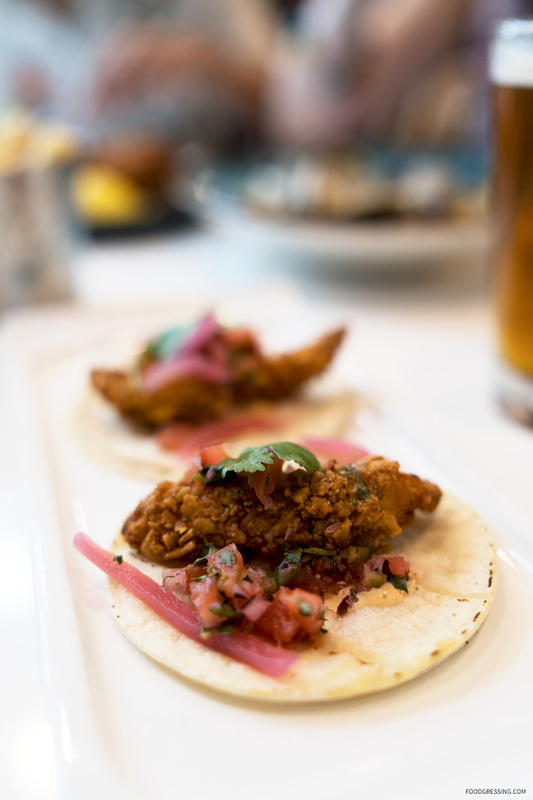 I quite enjoyed the fried oysters ($13) which had a very crispy, panko breading. It came with housemade coleslaw and tartar sauce. The truffle fries were just OK ($9) as they could have used more truffle oil. The snapper tacos were the least enjoyed and were priced at $9 for two tacos. It was rather bland and could have used more bold flavours. I would not order this again.